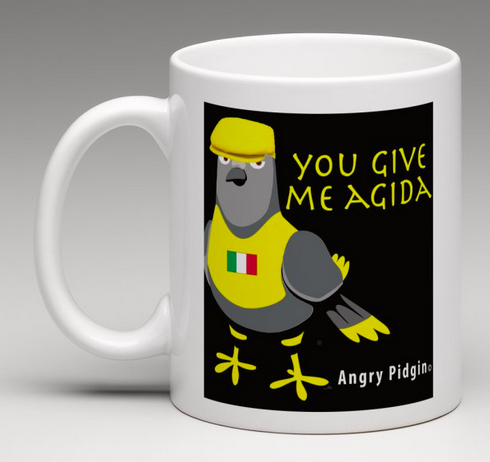 Welcome to the ANGRY PIDGIN page. 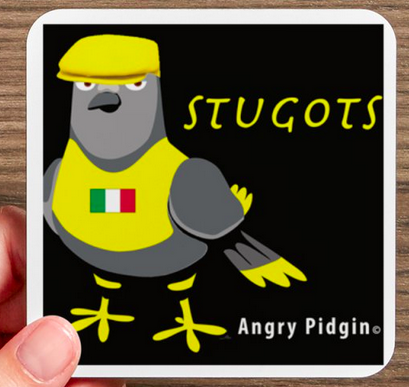 Here you will find funny hilarious Italian Pidgin English T-shirts, mugs, coasters, & much more. 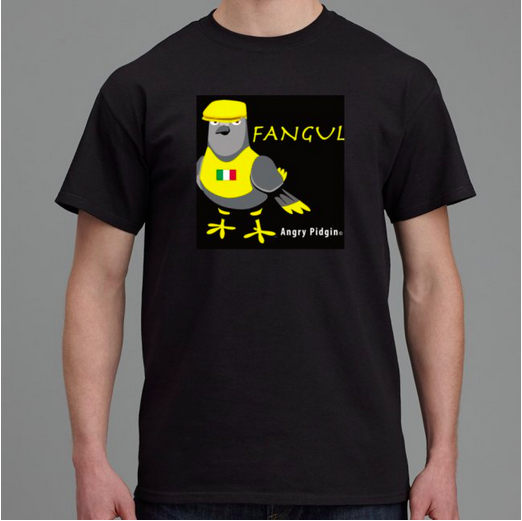 More designs will be uploaded soon, so .... stay tuned! Have fun with our products! You can order them online https://www.etsy.com/shop/AngryPidgin or by contacting us via email at nino@sicilicity.com and have them shipped all over the United States. 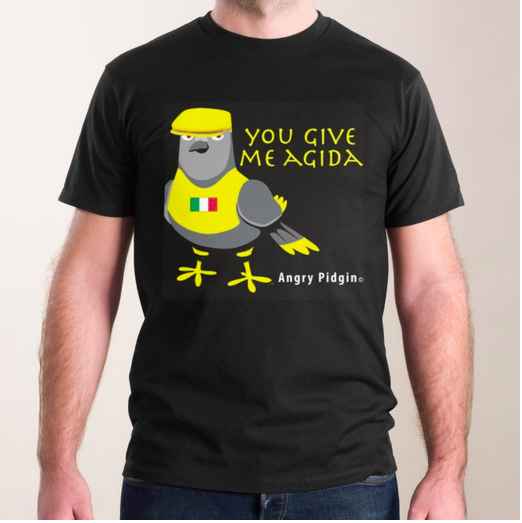 A pidgin /ˈpɪdʒɨn/, or pidgin language, is a grammatically simplified means of communication that develops between two or more groups that do not have a language in common: typically, it is an incomplete, secondary language (not native) formed by people in an area who do not speak the main language. 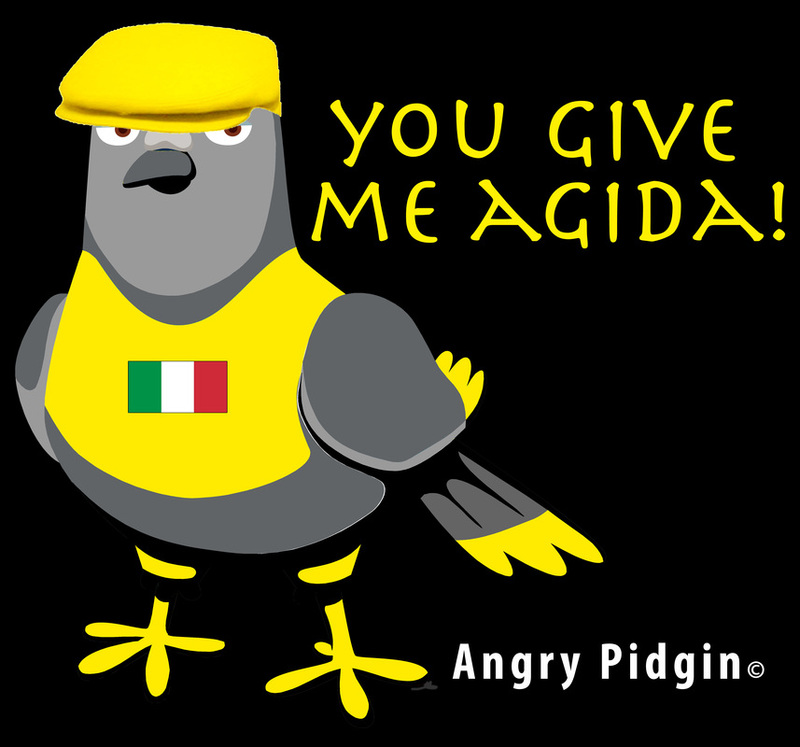 A pidgin may be built from words, sounds, or body language from multiple other languages and cultures. Pidgins usually have low prestige with respect to other languages. The spellings are somewhat arbitrary because these words do not truly belong to English or Italian; they are hybrid creations.